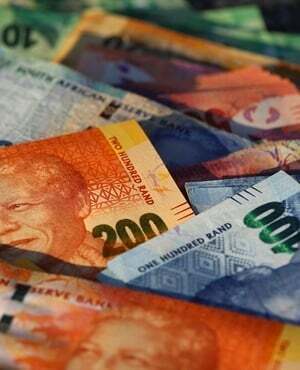 The rand weakened the most among emerging-market peers and bond yields climbed to the highest this year as the government’s latest debt projections increased the probability of a credit-rating downgrade that would move South Africa’s local-currency debt into junk status. 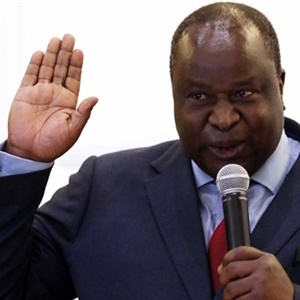 In his medium-term budget policy statement, Finance Minister Tito Mboweni said government debt will peak two years later, and higher, than previously forecast, the fiscal gap will widen further and state revenue will continue to undershoot. The news is likely to weigh on rating companies including Moody’s Investors Service, which delayed reviewing the country’s debt rating earlier this month. Moody’s is the only one of the three major rating firms to assess South Africa’s debt at investment level. A move lower would spark forced selling of bonds by investors who track investment-grade debt indexes including Citigroup’s World Government Bond Index. Foreign investors own 38% of South Africa’s R1.97trn of local-currency bonds, making the country vulnerable to capital flight. Outflows could reach $5bn should the country lose its membership of the WGBI, according to Bank of America Merill Lynch. The rand declined as much as 2.2%, reversing a gain of 0.8% before the budget speech. It traded 2.1% down at R14.57/$ at 19:34 in Johannesburg. Benchmark 2026 government bonds fell, driving the yield up 15 basis points to 9.31%, the highest since December. South Africa’s benchmark stock index closed 0.6% lower after gaining as much as 0.6% earlier.